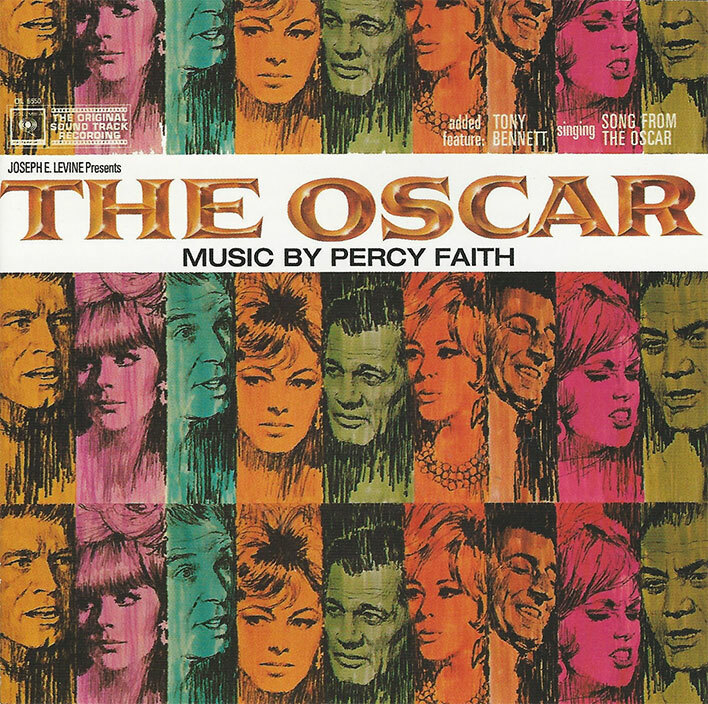 Once the screenplay of the motion picture “The Oscar” was completed and the principal parts cast, we had to choose a composer to do the score. We cast him as carefully as we had cast any of the stars, since we wanted someone who could give us the excitement of Oscar night—that “going out for a good time” sound. We wanted someone who combined a strong cinematic instinct with the gift of devising a powerful melodic line. Even though “The Oscar” has many highly dramatic scenes, it is a fast-paced motion picture, and it needed a composer who could give us a tempo—a pace. We decided that Percy Faith would be the exact man for the job. A musical score should be an integral part of the story. It must blend with the character delineation, with the action, and it must emphasize dramatic impact without being intrusive. However, in the case of “The Oscar,” we provided the composer with an added zinger. We made Faith’s job doubly difficult because we wanted the kind of drive and fast pacing that would be appropriate to the film, yet one that would always emphasize melody. Though “The Oscar” is a dramatic story, it is primarily entertainment, and we needed strong, but listenable, music. Percy Faith has provided this . . . and more. In our opinion, for a dramatic score, he has created for “The Oscar” some of the most entertaining music we have heard in any motion picture in years. Main Title: Academy Award night—they don’t make nights much bigger than this one. Millions of people who have viewed Oscar night on television are acquainted with the sound of it. The crowds. The lights. The liveried limousines. The anticipation of entertainment history in the making. The electric sensation of glamor vying with glamor for center state. Percy Faith had to capture all that. And he did. Laurel’s Dance: In this scene, we meet the provocative Laurel (Jill St. John) for the first time. Faith had to provide an immediate characterization, while, at the same time, establishing the scene. The earthy, poor days. The smokers. The tank towns. The dives. The music of the striptease as Laurel climbs the stage of any bawdy gin-mill that can ante up the price for a display of her “talents.” And the going rate isn’t very high. The music had to say just that. It had to be good. Listen to it! Kay and Frankie Dance: This is an orchestral arrangement of the film’s love theme. In this scene, the lover’s dance without speaking a single word. Frankie (Stephen Boyd) hasn’t seen Kay (Elke Sommer) for several years. Suddenly she appears. Only the music speaks. A delicate, even fragile musical treatment is given this episode, but still the actors dominate the scene. Not an easy trick, but Percy pulled it off. Cheryl: This was one of the most difficult of the musical subjects for Faith to capture. Here again it was the introduction of a new character—this time Cheryl Barker, played by newcomer Jean Hale. We think Percy has succeeded in nailing Cheryl’s character with something new and certainly different. His music has given this scene added dimension and has delivered the characterization just as we needed it. We think that this is one of the most clever moments in this, or, for that matter, any other of our film scores. Instead of Mickey-Mousing (a trap into which many composers might have fallen), Percy has turned out as deft a piece of characterization as we have ever heard. Mexican Hoedown: Here, too, Percy had to pull us, all at once, into a new mood. He succeeded owing to his unique melodic drive. Tony Bennett Sings: It was a good day for us when we came up with the idea of casting Tony Bennett for the dramatic part of Hymie Kelly. The combination of Percy Faith and Tony Bennett is well known. It was Faith who arranged and conducted three Bennett million-selling records. Posh Party: In this scene, Percy was again faced with writing music meant to serve a double purpose. The setting is a big party at a producer’s home (Joseph Cotton). It’s a black-tie, glamor-laden affair. It’s also a key scene in which an important part of the store it told in dialogue, underscored in counterpoint, playing the contrast of the gala affair against the drama of the dialogue. Percy came up with a bossa nova that fits perfectly. The Glass Mountain: This is the central character’s theme. He is a man who does evil but doesn’t know that it is evil. He can stir a beautiful, desirable, highly moral woman to love. He is terribly complex, yet Percy has captured this man, Frankie Fane, with a melody that supplies all the shadings. Musically speaking, the audience will know Frankie—who he is; what he is. We think it’s new. We think it’s fresh. We think it’s contemporary.